You don’t have to be a world-class climber to make it to the top of some of America’s most beloved peaks. In fact, many of the country’s best-known peaks require little in the way of technical gear and skills—just some cardio conditioning and, of course, clothing that keeps moisture out of your microclimate and keeps your core at its optimal temperature so you can perform as well as possible. Ready to start crossing things off your bucket list? 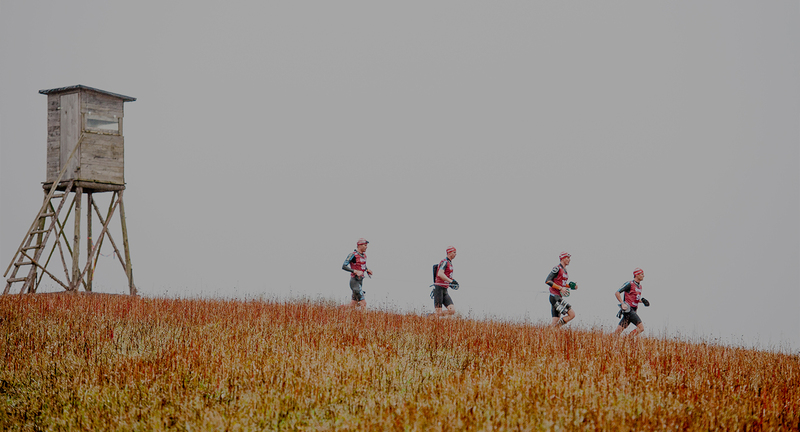 Start with these nine iconic summits, starting with the easiest options and working your way up to a hefty challenge. 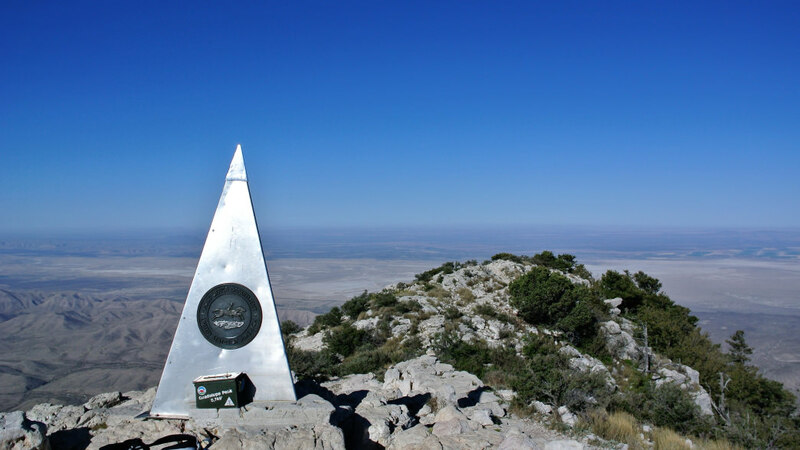 Guadalupe Peak rises high above the surrounding desert, which means unimpeded views for miles. Set in Guadalupe Mountains National Park, the tallest peak in Texas makes for a challenging but non-technical day out. Guadalupe Peak rises dramatically above the surrounding desert, making for a stunning view from any angle. The strenuous 8.5-mile round-trip hike to the “Top of Texas” gains 3,000 feet of elevation, but the views from the summit of the 8,749-foot peak will make you quickly forget about all that hard work. A Minaret Aerowool Short Sleeve Crew will move moisture out of your shirt and keep your core temperature hovering around the optimal 37.5 degrees, even in the scorching Texas heat. At 5,269 feet, Mount Katahdin has the distinction of being both the highest peak in Maine and the northernmost point on the 2,190-mile Appalachian Trail. You don’t have to hike the entire AT to get to Katahdin’s summit, though—it’s reachable by a number of different routes. Hike Katahdin via the Hunt Trail to cover the last five miles of the AT (via this approach, the hike measures just under 10.5 miles round trip). There’s some exposed scrambling near the summit, but the best views in Maine are worth the effort. Celebrate your accomplishment by switching into a breezy Tommy BahamaIslandZone Camp Shirt when you get back down. Be sure to get your permit before tackling Half Dome. Yosemite National Park’s 8,842-foot Half Dome, which rises nearly 5,000 feet above the valley floor, might just be the most recognized mountain in the United States. 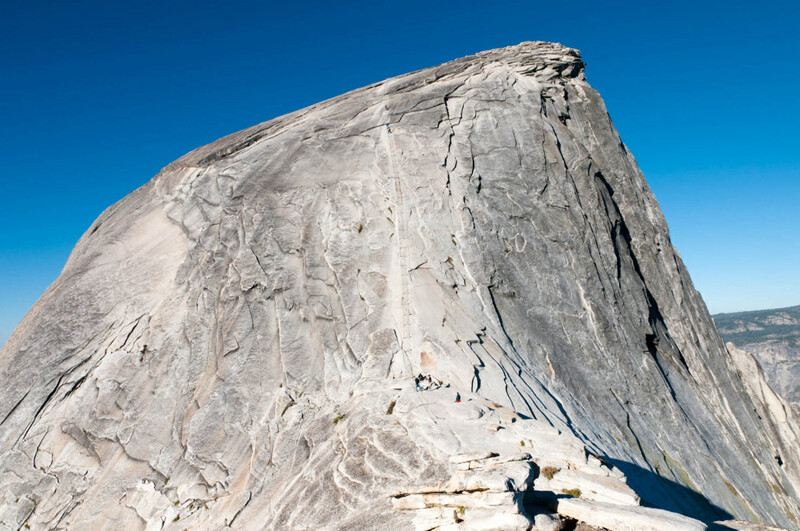 It’s famous for daring technical ascents (including a 60 Minutes special in which Alex Honnold free-soloed the formation), but there’s a much easier route up Half Dome—one that’s totally accessible via a long day hike. You’ll need a permit from the park in order to make the 14- to 16-mile hike to the summit and back, but it’s manageable without technical skills or equipment. A hike this long is brutal on the feet—a hardy pair of Point6 socks will keep your feet from sweating and blistering on the long hike. The highest peak in the northeastern United States is probably best known for its severe weather—until 1996, 6,289-foot Mount Washington held the title for highest wind speed recorded anywhere on earth. Speeds of 231 miles per hour were documented at the observatory on its summit. The Tuckerman Ravine Trail is a popular non-technical route to the summit, but it’s tough: you’ll cover 4,000 feet of elevation gain in just four miles (it’s about eight miles round trip). Be prepared for serious and fast-changing weather conditions, which are known for building quickly. The adidas Terrex Stockhorn Hoodie will keep you comfortable as you ascend and descend the peak no matter what the weather does. The standard route up Mount St. Helens doesn’t require any technical skills, but it’s still challenging. An active stratovolcano, Mount St. Helens is best known for its catastrophic 1980 eruption, which lowered its summit by more than 1,500 feet. 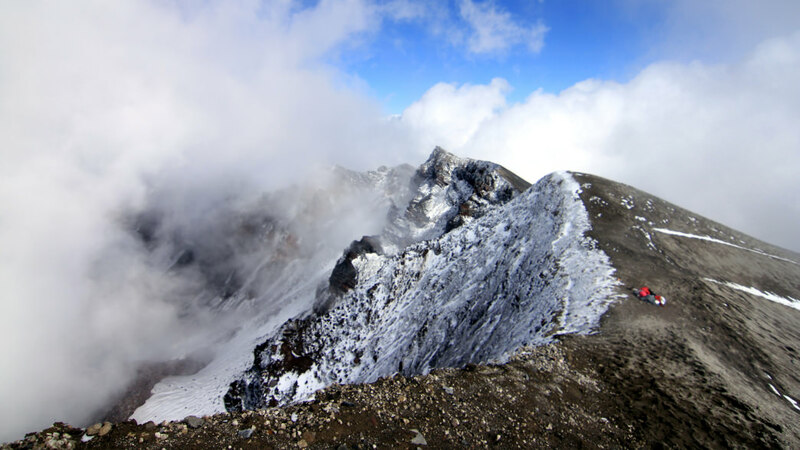 Today, the peak is topped by an enormous, mile-wide crater, which hikers can reach via the Monitor Ridge route. The standard climbing route doesn’t require any technical skills, but it’s still challenging: it gains 4,600 feet in the five miles from the trailhead to summit. From the icy crater rim, successful hikers can take in views of the Cascade Range’s other iconic summits, including Mounts Rainier, Adams, Hood, and Jefferson. The Rab climbing collection will keep you warm on the exposed summit. Longs Peak is Colorado’s northernmost Fourteener, as well as one of its most famous—you can see its iconic diamond face from nearly anywhere along the Front Range. At 14,259 feet, Longs is a serious undertaking in terms of altitude, and out-of-town hikers should plan to acclimatize before making an attempt. Unlike the multi-pitch mountaineering routes on the Diamond and other faces, the 14.5-mile Keyhole Route is a Class 3 scramble. Good route finding skills are required (you’ll follow bullseyes painted on rocks on the backside of Longs), but the reward is definitely worth it. It will likely be warmer at the start and get cooler as you climb higher towards the peak, so a pair of eclipse sun sleeves will keep your arms warm. Unlike most sleeves that only cover part of your arm, these go from your hand to your armpit, keeping you fully protected from the sun! This 11,249-foot Cascade volcano is among the most picturesque peaks in the Pacific Northwest, thanks in part to its gorgeous surroundings (including Timberline Lodge, where the outdoor shots of The Shining were filmed). A climb of Mount Hood is no small undertaking, but its easiest route, a Class 2 snow climb, is manageable for those with basic knowledge of roped snow climbing and glacier travel. Since Hood can be seen from up to 100 miles away on a clear day, its summit views are unbeatable. A Thermarest Argo blanket will help you get a great night’s sleep to prepare for your climb. 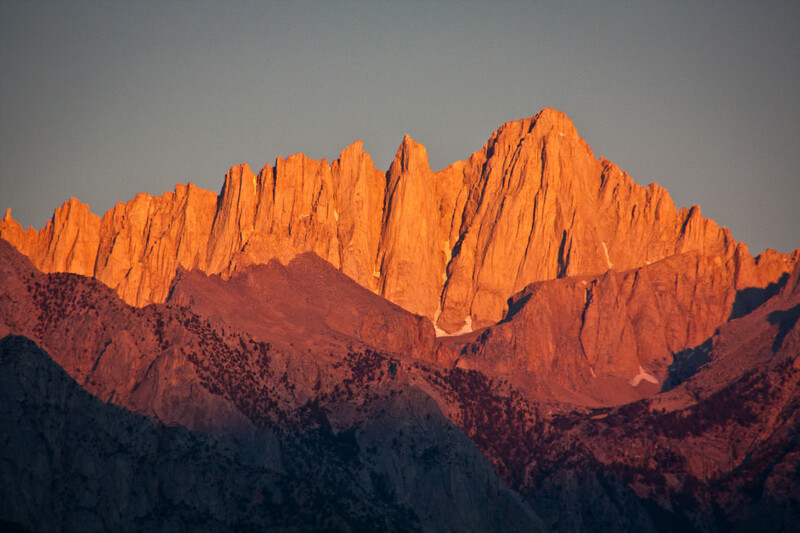 Mount Whitney is the highest peak in the contiguous United States. Topping out at 14,505 feet, Mount Whitney is the grandaddy of them all—the highest peak in the Lower 48. The trek to reach the summit is just as grand: it’s nearly 22 miles round trip from the Whitney Portal and covers more than 6,000 feet in elevation gain each way. Whitney straddles the border between Sequoia National Park and Inyo National Forest, so you’ll need a permit from one of those agencies, depending on where you begin your hike. In any case, the long hike and high-altitude conditions mean you’ll be glad to have a Vapor Stormlight Ultralight Rain Jacket to keep you dry. Colorado’s Maroon Bells are among the most photographed destinations in the country, and it’s not hard to see why. The peaks, named for their distinctive shapes, are formally known as Maroon Peak (14,156 feet) and North Maroon Peak (14,014 feet). A traverse of both peaks is generally considered to be Class 5 climbing, but non-technical hikers can climb Maroon Peak’s South Ridge via a Class 3 scramble. It’s still a tough 11.5-mile hike, though—gaining 4,800 feet of elevation. And thanks to the Elk Range’s notoriously loose rock, many hikers choose to wear climbing helmets. Be sure to bring along an adidas Stockhorn fleece to keep you comfortable even in chilly high-altitude conditions. While there are certainly many more summits that could be added to this list, these nine are a great place to start! Happy hiking! Originally written by RootsRated for 37.5.